THE HIDDEN REVENUE STREAM THAT MOST ENTREPRENEURS HAVEN'T EVEN THOUGHT OF. ​Registrations for Sept. 28th, 2018 have closed. Subscribe to receive updates for our next ​Edmonton event! How sponsorship & social media can take your vision from big idea to global brand. Training designed SPECIFICALLY for entrepreneurs with big dreams wanting to build relationships through collaboration, partnership, and sponsorship. Gain “insider” tips, strategies, and actual examples to help you jumpstart your sponsorship immediately. Receive the exact templates, systems, forms, processes, voicemail scripts, and call questions used by Raise a Dream. Learn directly from experts in social media, branding, marketing, and more, plus sponsors from various industries. Because these intensives are small groups, you have direct access to Charmaine and Raise a Dream's partners. Your presentation, project, or book launch paid for before you begin! All of these are completely possible and this kind of support is achieved every day by people who understand collaboration and the value of sponsorship to companies who want to bask in the shine of the goodwill you and your project can create for them. There are BILLIONS of dollars in funding that are earmarked to go to projects just like yours every year. The trick is knowing who has the funds, how to engage them, and then what you need to do in order to close the deal. Be prepared to hear some shocking information about how much pressure is on committees to give away five, six, and even seven figures of funding. "Learning about the true value of collaborative sponsorship from the Raise a Dream Team was invaluable to me in the growth of my business. I took away actionable strategies and tools and landed my first big sponsor within weeks of taking the program!" 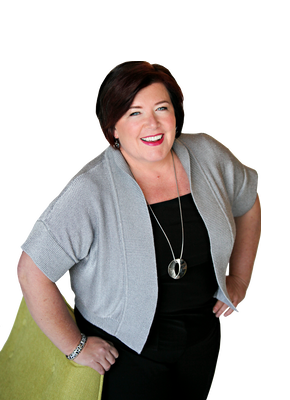 Speaker/Author/Breakthrough Expert - Frock off Inc.
"Charmaine is a true rock star when it comes to sponsorship expertise. I had the pleasure of sitting in on a presentation she delivered to the Canadian Association of Professional Speakers. Her engaging delivery and content-rich presentation hit the mark with everyone in the room. It was packed with content and relevant, immediately doable ideas that any professional speaker, author, or innovative entrepreneur could put to work immediately! She earned a rousing and well deserved standing ovation from the audience. I highly recommend Charmaine, particularly to any speakers or authors who want to learn the ins and outs of leveraging sponsorship in their business!" Charmaine Hammond has been in the business of transforming lives and raising dreams for more than 25 years. This former Correctional Officer (yup! she worked in jails!) and Corporate Dispute Resolution Expert now travels the world teaching the principles of collaboration, partnership, and sponsorship. She has owned three businesses over the past 23 years and has started 3 non-profit organizations as well. As a bestselling author (of 5 books and featured in 6 others) and CSP™ Certified Speaking Professional, she has had tremendous success in finding corporate sponsors to fund her speaking and book projects/events/tours including her printing, graphic design, venues, travel, media, technology, hotels, and even her pet food and dog poop bags! She has developed sponsorship relationships with more than 40 sponsors and 60 business partners. Her recent speaking and book tour, Million Acts of Kindness, involved a 14 000 km tour in a 32-foot sponsored motorhome, hotels sponsored for the team, and more than 40 businesses and retail chains raising funds in their stores/businesses to support the Million Acts of Kindness movement. She has helped her clients secure cash sponsorship along with in-kind sponsorship support such as clothes, travel, event needs, and more through the power of relationships and collaboration. Today, Charmaine will teach you how to find corporate sponsors to fuel your business and raise your dream! Collaboration, partnership, and sponsorship are untapped revenue sources for entrepreneurs. Charmaine always says, "It takes a team to raise a dream" and "Teamwork makes the dream work". Building a business is not a solo act. Learning to effectively collaborate, partner with others, build the right team, and secure sponsorship (in-kind and cash) will fast track success and results and make a bigger difference in the world. Leave feeling more clarity and less confusion about what the right steps and actions are for your particular situation. Don't waste time figuring this out on your own. Beginning any relationship is fraught with potential wrong turns. Understanding how to draw out what sponsors will find valuable in you is a process, which you are guided through. Receive the real-world tools Raise a Dream uses for their sponsorship process. These will take you to the next level. Quickly. Charmaine is a no-fluff, action-oriented, and rich-content speaker who shares her learnings (and some big mistakes) to help participants reach their goals faster while bypassing painful learning. Meet amazing individuals who are wanting to connect and grow in a tight-knit group. ​​Enjoy the benefits of masterminding ideas with fellow attendees. Copyright 2019 by Raise a Dream Training & Consulting Inc.